It’s hard to start this discussion without fully understanding what constitutes scientific theories. At its core, scientific theories describe the mechanisms (causality) of observed phenomena. The core component of a scientific theory is that it can provide explanations and predictions of similar phenomena that can be tested through the scientific method. Scientific theories are not developed by one person writing a book in a library somewhere, they result from huge bodies of work over long periods of time. Theories rest upon the products of numerous contributors over time, and are supported by vast amounts of evidence. One person, even a Nobel Prize winning biologist, cannot themselves “invent” a theory. Usually, a theory evolves (sorry, couldn’t resist) from initial research into hypotheses through scientific consensus to a published theory. This process is a continuum, and it may actually be impossible to point out the exact date the theory appears.The evolution (really, I’m on roll) of scientific theories is a key element of the scientific method as they are used to make predictions about the natural world. This predictive ability is most certainly not something like a psychic, it is the ability to use the scientific method to question a prediction about a future result (say man evolving a fifth limb), and answer it. If the theory of evolution predicts that fifth limb, but the prediction fails through a scientific study, then the theory gets revised. The theory of evolution explains the fact of evolution because of the overwhelming evidence. But if someone were to bring something new, published in real science journals, we might revise the theory. For example, there is a joke that evolution might be overturned if we found a rabbit fossil in a rock layer far earlier than when mammals evolved. But would that really refute evolution? Not really, maybe it was an error in determining the age of the rocks, or our rock aging science needs revision. Or maybe, mammals evolved earlier than we thought. Or an alien visitor, intelligent rabbits, visited our planet 1 billion years ago. But finding a rabbit in some rock strata way below the point where rabbits evolved wouldn’t have an effect on the theory of evolution. So this evolution theory is really a fact? Not exactly, but close enough. Evolution is an observed fact. We’ve got over 200 years of observation of evolution through fossils, and through observation of things living in our contemporary world. Few real scientists doubt the existence of evolution. However, in the early 1800’s, when science was just observing the change of species over time, there was no theoretical explanation of what we were observing. We didn’t know the mechanisms that were driving what we observed. That’s why some people proposed “some anonymous god did it,” a default position for those who cannot understand natural phenomena. Then Charles Darwin and the often forgotten Alfred Russel Wallace independently presented their explanations of the foundation of evolution, natural selection. But Darwin and Wallace didn’t know what we know today, so their initial “theory” has evolved (oh really, maybe I should stop) into a more complex theory of evolution that encompasses some of our newer knowledge, such as genetics and DNA. Today, the theory of evolution, with some semantic changes depending on author, states that evolution is change in heritable traits of biological populations over successive generations as a result of natural selection or genetic drift. Despite the nearly 200 years since Darwin and Wallace, science has only added some mechanisms, but the essential fact of evolution being a change in population over time has not been modified by new data. It has been strengthened. That’s the great thing about scientific theories. They are built on huge mountains of evidence, not on guesswork or beliefs. They withstand the bright lights of criticism over time, but they are modified as new evidence is provided. 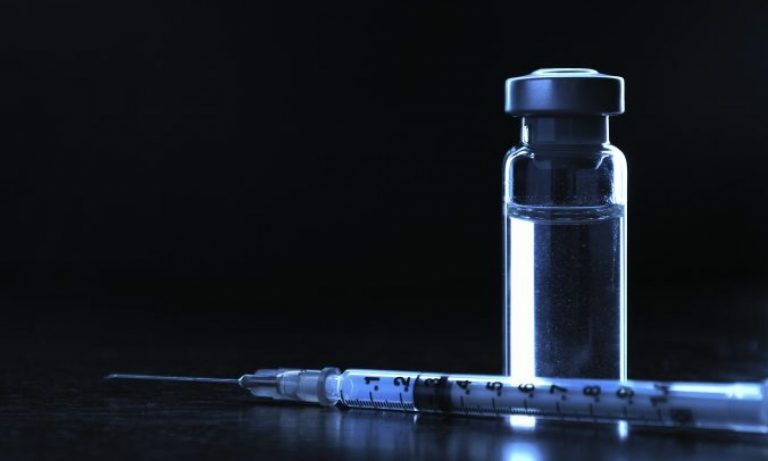 Back to germ theory and vaccines–WTF? Germ theory is one of the essential foundations of biology, along with evolution and cell theory. Without germ theory, biology would have to be redone from top to bottom. Of course, if germ theory is somehow refuted, we’d change our understanding of biology. 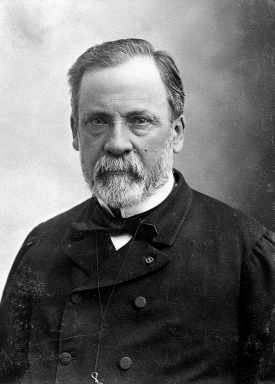 The germ theory of Louis Pasteur is the basis of vaccination, and he actually retracted his theory on his deathbed. It is postulated that diseases that go into our bodies from outside sources, making us a victim to the results. Charles Darwin, after a career of promoting evolution and naturalism, returned to the Christianity of his youth, renouncing on his deathbed the theory of evolution. The story appears to have been authored by a “Lady Hope,” and relates how she visited him near the end and received his testimony. Seriously, I think that all anti-science types meet in a convention to discuss their strategies. Next up, Monsanto renounces GMOs upon its deathbed. Here’s the thing. Neither Pasteur or Darwin understood that they had developed a “theory” of anything. And if they did renounce it on their deathbed, in itself, it has no meaning. Germ theory and evolution have stood the test of time and withering scientific analysis. Nevertheless, there is no evidence that Pasteur really did anything of the sort on his deathbed. Back to germ theory. It is probably one of the most well-established principles in medicine and epidemiology, as well as a cornerstone for public sanitation policy. Compared to the evidence supporting the germ theory, evolution is merely an asterisk in science. To refute germ theory, you’d need so much research from so many different researchers, it might be 100 years before we’d see a change. But my bet would be any researchers who thought they could refute germ theory, would change their minds about a year into researching it. But if you completely deny germ theory, then vaccines would have to be considered completely worthless. Because vaccines themselves are dependent upon germ theory in that we accept that the vaccines cause an immune response to a pathogen which remembers that germ for future needs. If that pathogen enters the body, and before it becomes infectious or destructive, the immune system says “I know that thing, it’s dangerous” and attacks it. Because we scientists know that the germ causes the disease, we can create an immune response to it. There is a subgroup of germ theory deniers, called HIV/AIDS deniers, who don’t think that the human immunodeficiency virus (HIV) causes AIDS, despite overwhelming evidence that it does. We can tell the virus is in AIDS patients. We can see the evidence of how HIV causes AIDS. And if we reduce the HIV viral load, we can reduce the symptoms. And we just don’t see AIDS symptoms in non-HIV infected individuals. So there’s that. So if you deny that the measles virus causes measles, then you’re going to think that measles vaccines are useless. In fact, that would be a rather intelligent choice. But is there any evidence that viruses or bacterial don’t cause related diseases? Well that would be no. We can isolate the virus that causes chickenpox. And we can stop it with vaccines. We can isolate the virus that causes measles, and we can stop that with vaccines. Although nothing in science is irrefutable, that’s one of the basic principles of science is that we can imagine ways to refute basic principles, like theories, germ theory is practically irrefutable. And with regards to vaccines, the underlying scientific theories are just as nearly undeniable. By the way, Louis Pasteur invented the procedure to heat liquids to kill pathogens, a process we now call pasteurization. Milk is pasteurized to kill virulent bacteria that can harm children and adults. Of course, some people think pasteurization is evil. There’s no winning. So scientific theories are pretty powerful? Let me be clear. There is no question about the theories being constantly challenged, sometimes by real science, and sometimes by charlatans who just pull pseudoscience out of the thin air. Most theories are challenged, but those theories were rejected in favor of other theories. Germ theory and evolution have not only withstood the test of time, they have withstood the test of newer and better evidence. As scientists learned more about how biology works–in other words, as they gathered more data and evidence–our current theories, like germ theory and evolution (and frankly many more, like the Big Bang, cell theory, and abiogenesis) became more solid, more predictive of future events. The science of vaccines is supported by germ theory (and evolution and cell theory), the most basic principles of the science of diseases and immunology. I guess one could reject vaccines for any number of silly reason, but the principles underlying vaccines is nearly unassailable. Again, if you want to overturn germ theory, cell theory, evolution or whatever, you just can’t say that its wrong, and expect any intelligent person to accept it without criticism. To refute these basic observed facts and underlying theories, you need mountains of evidence. I think there are over 1 million published articles supporting evolution. There may be 10X that amount for germ theory. So why have scientific theories anyways? Because we need explanations, or we can’t further our research. We can observe, over and over again, that an apple falls down from a tree on this planet. The theory of gravity explains why. We find fossils in the ground that seem to show a link between humans and apes. But the theory of evolution describes how apes and humans evolved. The theory of vaccination, yes it’s a scientific theory of immense power, is supported by germ theory, cell theory, and evolution. Good luck in refuting that science event though it may be possible (you see, real science is openminded to all possibilities, including the possibility that we’re wrong, but only when evidence is presented), it is not probable. Some random website is going to proclaim that Louis Pasteur was full of crap and germ theory is a lie (probably pushed by Big Pharma and Monsanto), that’s not evidence. That’s just a level of denialism that borders on the delusional. I’m sure if we could take the Tardis back in time (maybe with a pet rabbit that escapes), we would probably use a different word than theory to describe these scientific principles. Like, the fact of evolution that is supported by boatloads of evidence and if you don’t like it because it offends your beliefs, then just go hide under a rock.